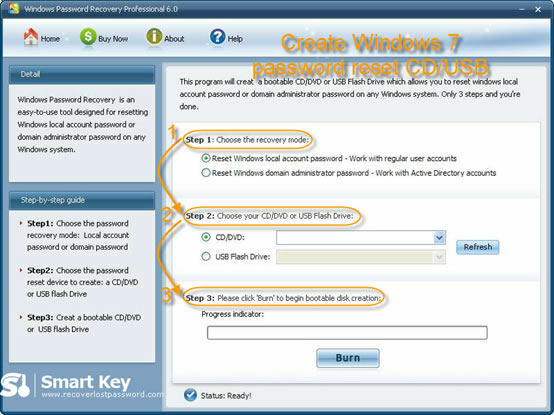 How to Create Windows 7 Password Reset Disk in any Condition? This article describes how to create and use a Windows 7 password reset disk for a computer before and after you forgot the password. You can use Windows 7 password reset CD to gain access to your computer. Scenario 1: I don’t forget the password yet. Windows 7 has its own backup feature, and you can proactively create a Windows 7 password reset disk before you forget it. 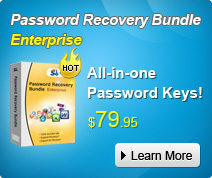 With it, you can easily reset your Windows 7 password and get right into your PC. Note that this procedure requires one blank, formatted floppy disk. Click on “Start”->”Control”->”User Accounts and Family Safety”->”User Accounts”. In the task pane, click “Create a password reset disk”. The “Forgotten Password Wizard” appears. Click “Next”, and then choose the portable media drive. Click “Next”, and then enter your current password in the next box and click “Next”. Windows 7 begin to create the password reset disk on your chosen media. When the progress bar reaches 100% complete, click “Next” and then click “Finish”. Now you can remove your device and store the disk in a safe place. Once you forget the password in the future, you can take it out. The created password disk can now be used during log-ins to reset the password. A reset password link appears on the account screen after an unsuccessful attempt to log in. Click on “Rest Password”, and the “Password Reset Wizard” dialog opens. Here you need to insert the reset disk to the PC. Follow the wizard to type a new password twice to make sure you type the correct password. You are suggested to create a new password hint, so that you can remember the password with it if you forget it. Windows switches to the Windows log-in screen again where you can use the new password to log in. Scenario 2: I have already forgotten the password. If you have already forgot Windows 7 password but don’t have a password reset disk at hand, you can choose another way to reset the password. This procedure needs a CD or USB flash drive. Insert your media device into another computer which can access to system as administrator. 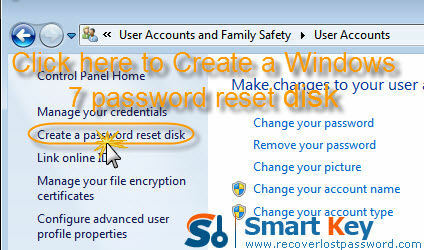 Launch Windows 7 password reset disk software. 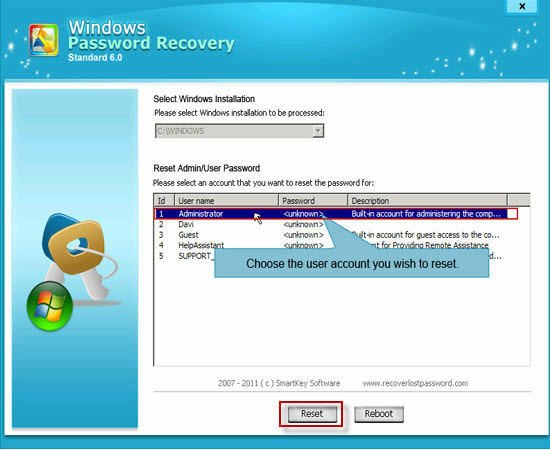 On the main interface, choose “reset Windows local account password”. Choose your target device, and click “Burn” to start Windows 7 password reset disk creation. With this Windows 7 Password Reset USB software, boot the computer that you want to reset the password for. Under Windows PE, you enter the main interface of this software. Choose your Windows system, and select the user account you need to reset password. Click “Reset”, and then “Yes” & “OK” sequentially to finish removing Windows 7 password. Quite easy, isn’t it? After fully control system password reset, you will never worry about your bad memory. Windows Vista Password Reset Disk. Windows XP Password Reset Disk.